Accepted papers after proper registration and presentation, will be published into Conference Proceedings, which is indexed by Ei Compendex and Scopus, Thomson Reuters (WoS), Inspec,et al. The 3rd International Conference on Materials Engineering and Applications(ICMEA 2020) will be held in Ho Chi Minh City, Vietnam during January 6-8, 2020. It provides an opportunity for the delegates to meet, interact and exchange new ideas in the various areas of Materials Science especially on materials engineering and application. ICMEA 2020 aims in proclaim knowledge and share new ideas amongst the professionals, industrialists and students from research areas of materials engineering and application to share their research experiences and indulge in interactive discussions and special sessions at the event. 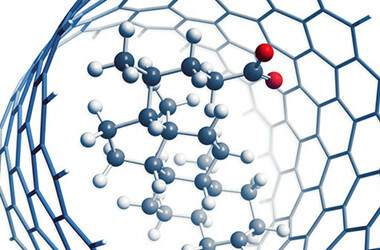 The interdisciplinary field of materials science, also commonly termed materials science and engineering, involves the discovery and design of new materials, with an emphasis on solids. The intellectual origins of materials science stem from the Enlightenment, when researchers began to use analytical thinking from chemistry, physics, and engineering to understand ancient, phenomenological observations in metallurgy and mineralogy. Materials science still incorporates elements of physics, chemistry, and engineering. As such, the field was long considered by academic institutions as a sub-field of these related fields. Beginning in the 1940s, materials science began to be more widely recognized as a specific and distinct field of science and engineering, and major technical universities around the world created dedicated schools of the study. 2019-03-10 ICMEA 2020 will be held in Ho Chi Minh City, Vietnam during January 6-8, 2020. 2019-01-20 ICMEA 2019 was successfully held in Da Nang, Vietnam during January 16-18, 2019. 2018-12-31 ICMEA 2019 conference program is available now! 2018-11-15 ICMEA 2019 final submission is over! 2018-05-04 Papers of ICMEA 2018 are online. 2018-04-30 ICMEA 2019 submission opens. 2018-01-17 ICMEA 2018 was successfully held in Bali, Indonesia.